Every business owner begins his business journey with a dream and determination to succeed. It warrants sacrifice of time and money to get your business off the ground. If you are lucky enough, you outlive this first stage. Challenges don’t end here, but in essence, they start to multiply. You find yourself accountable to a thousand processes. Activities like recruiting, hiring, training, bookkeeping begin to pile-up in front of you. Though they are all vital and require significant time allotment, they may bring you a failure. But how do you handle these critical business activities and still thrive? 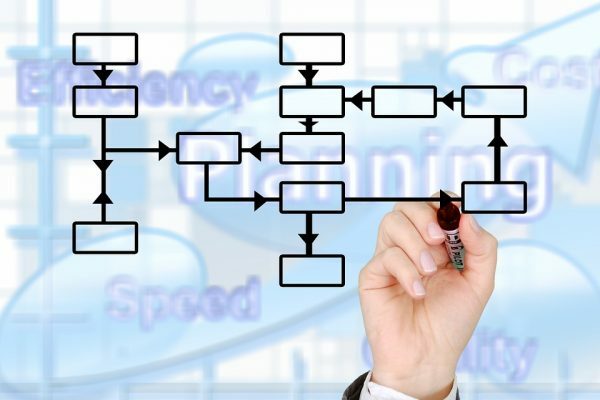 The best way to make your business run smoothly is to improve business processes. A fundamental way to improve processes is automation. This is creating systems to handle processes and free you up to focus on the big picture. Automation can reduce tasks redundancy in a big way. Improving business processes should start from the top. The leadership requires streamlining to set the pace for efficient processes. The next step is identifying inefficiencies. Some inefficiencies may be easy to identify, but others may not be discernible. Though everything may look great and in good working condition on the surface, the results may be poor. This outcome is a red flag that things are not okay and you need to fix out things. A common cause of misperformance is repetitive work. You find that highly skilled and paid staff spend a lot of time doing trivial tasks that yield little. They cost the business owners money. Inefficiencies such as missing deadline, displacing key documents and others cause a company ineffectiveness. Here are the 6 steps to help you achieve efficient business processes. Identifying the area with repetitive tasks is the first step to automation. To pinpoint the area, a thorough understanding of the business is paramount. The best approach is to outline a visual representation of your as-is workflow. You can use flow diagrams to understand your workflow better and locate the repetitive activities. You should execute this procedure in consultation with other stakeholders and users of the process. Consider the net savings in terms of money and time. These two are the best parameters to endorse the need for process improvement. The next step is to redraw the process so as to eliminate the problems you identified. As highlighted earlier, it is best to include people who are directly involved in the process. Their inclusion may bore new and best approaches. First, ensure everyone understands fully what the process should do. Then explore how to address the challenges identified earlier. List down all the ideas forwarded for consideration. Enter a discussion to identify the best way to achieve business goals? The discussion will help to narrow the list of possible solutions. The best approach to narrow down to one best solution is to conduct an Impact analysis. It will help understand the total effects of the team’s ideas. Then execute a risk analysis and a failure mode and effects analysis to help identify possible risks. Moreover, the two tests will also guide in spotting points of failure in your redesigned process. It is also worthwhile to consider customer experience mapping at this stage. These tests will provide a total understanding of the full consequences of all the team ideas. You will be able to make the right decision for everyone. Automation of some activities will help you achieve the best results in process improvements. There are a plethora of automation options in the market. It is quite essential to consider the ideal fit for your organization. Like you can use workflow automation solutions to help you in this endeavor. You can also consult an HR software to help you decide the best workflow automation. Your choice of the approach to deploy should be simple, easily adaptable to your staff and user-friendly. The next possible step will be to train your staff on the newly adopted process as not everyone may have been present in the redesign process. Early user involvement will have given you a plus and this limits resistance. Due to the status quo, many people will always resist change. But in this case, users inclusion even in the discussions have made them an integral part of the decision making process. It has also set them accountable for the process success. Creating a clear transition from the manual to the automated system and providing adequate staff training will deliver a successful transition. The transition may involve changing the current systems and teams. You might need to recruit new staff or reorganize the existing workforce. Now your new automated system is up and running. You should avail a feedback system to help you monitor the effectiveness of the new system. Whether you make inquiries, questionnaires or discussions, it should be a feedback process fit for your business. Gathering adequate feedback sets you to the next step to analyze the key performance indicators. This step is mainly to help you improve your workflow. Performance follow-up and measurement would help identify bottlenecks and decide areas of improvement. Continuous assessment will help improve team efficiency. There are other metrics available that can help you in efficiency measurement such as business intelligence dashboard. It is an online avenue that provides real-time updates about your assessment. New processes will always come up. For you to maintain robust processes and systems, it is important to look for ways to improve every new process. This will continue to encourage and instill a culture of Kaizen amongst your staff. Your workforce will become self-driven to invent ways to automate new tasks. Small continuous improvements will go along way to keep the idea of ‘efficient process’ relevant. Efficient processes streamline the way your business operates. With some researches showing that inefficient systems contributes to up to 30% loss in annual revenue, business owners need to resolve inefficiencies quickly. This will improve productivity, motivate staff and make customers feel satisfied. Here are other interesting articles you should read.